Sun in Aries is a special landmark for astrology because the Sun is the main point in our natal chart. The Sun is the one who defines our essence and with Aries being the first sign, together they form the beginning of the astrological year. With so much energy just at the start, people who have Sun in Aries could not be otherwise, right? Let’s know more! Sun in Aries means great energy in movement and invites to action courageously. 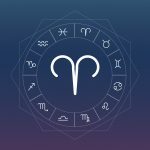 When the Sun is in Aries it is a great time to start something new, as the Universe conspires for great opportunities to achieve. They are original, dynamic and hardly fall into the rut. Therefore, there is always something new when it comes to this individual. But, be aware that this can be interpreted for both the good and the bad. People with Sun in Aries have a good chance of success, for they are not afraid or lazy to fight for what they want. Since they have this “non-extinguishing flame”, they usually only stop when they reach the target. Easy things? No, thank you. They love challenges! Do you know those people lying on the couch waiting for a miracle to happen in their lives? That person will hardly be an Aries. Laziness and apathy are words that do not combine with Sun in aries. Charismatic and cheerful (as well as the other signs of fire, Leo and Sagittarius), they can be the icon of a party. Very generous, they love to help and they do not thrive by sharing what they have with others. But this is somewhat paradoxical, since Aries can become very selfish. Maybe selfishness is not the right word, but lack of empathy to put yourself in the other’s shoes. Because they are very objective and direct, they can become impatient and explosive with those who do not go to the point and do not walk at the same pace as they do. Sometimes it is difficult to know how to deal with so much energy! Since they want everything as soon as possible, they often forget to plan important details and be caught off guard by unforeseen events. They hardly accept “no” as an answer and also have difficulty accepting orders. The spirit of competitiveness can be exacerbated and reactive beyond the bill, overtaking others.